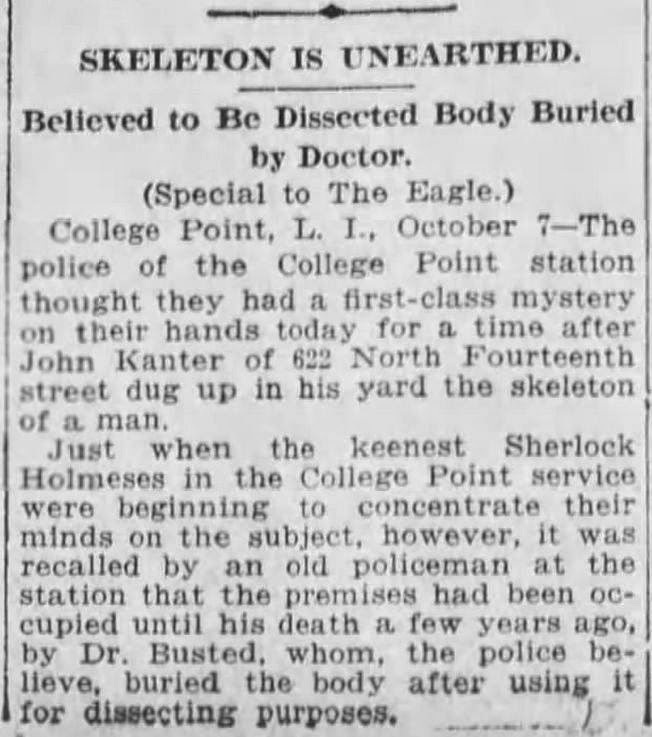 “College Point, LI, October 7 — The police of the College Point station thought they had a first-class mystery on their hands today for a time after John Kanter of 622 North Fourteenth Street [sic] dug up in his yard the skeleton of a man. It’s more likely the doctor’s name was Busteed. Dr. Busted sounds like a character from a 1980s horror film. 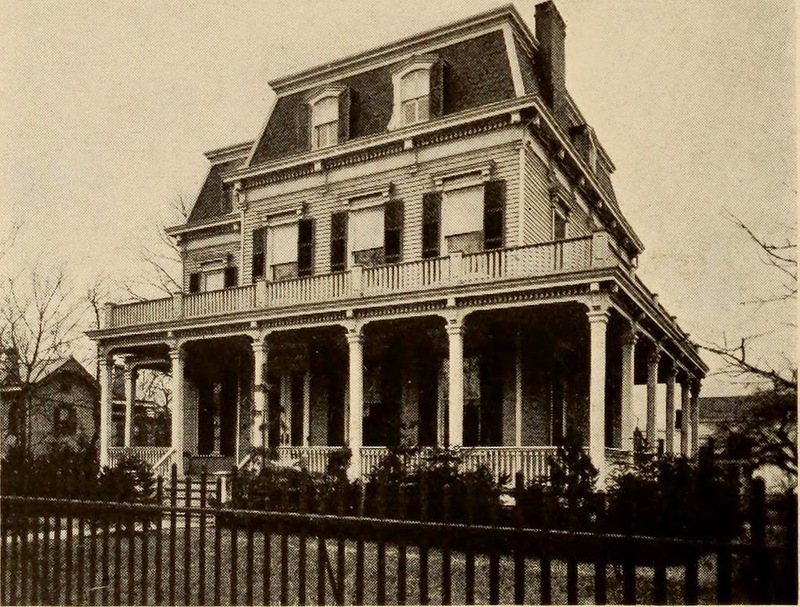 Here’s a proper mystery: Would somebody like to figure out where 622 North 14th Street in College Point, Queens, is today? 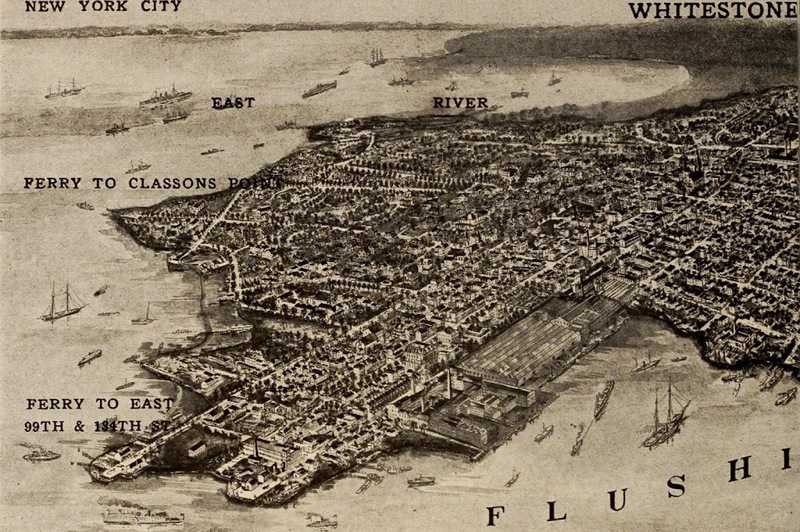 Many streets and roads in Queens were renumbered in the 1920s. I believe the house mentioned in the article above is on today’s 14th Avenue, but there’s also a 14th Road. And neither of them is numbered in the 600s. If there was one skeleton in the yard, might there still be others?